An inquest was held in St. Louis, Missouri, regarding the January 3, 1866 death of 23-year-old Aurora Heaton. According to news coverage, "Before coming to this city, Miss Heaton became acquainted with a young Scotchman named Isaac McDonald, and while here the acquaintance ripened into intimacy, and finally into an ardent attachment. McDonald was a student at Stewart's Commercial College. Feeling that their intimacy would lead to unpleasant consequences, the young girl took certain medicines to prevent those dreaded consequences." Aurora and Isaac went out for a walk along the river, evidently discussing Aurora's symptoms of pregnancy. They bought something at a drug store before Isaac returned to college. 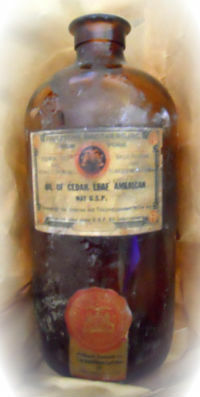 Aurora wrote to tell Isaac that the first medicines hadn't worked, so she went to another drug store, where she bought two ounces of oil of cedar, "medicine used as a diuretic and emenagogue for female sickness and for other purposes; sometimes used by women to procure abortion." Aurora took a one-ounce dose on Tuesday night. Some time between 10:00 and 11:00 she went into convulsions, then fell into a coma. She was dead just after midnight. The post-mortem examination found some oil of cedar still in her stomach. Not only were there no signs of sickness in any of Aurora's organs -- there were also no signs of pregnancy. Loretta Morton was 16 years old when she underwent a legal abortion in December of 1983. She was sent home with birth control pills. On January 3, 1984, Loretta was at home, and having trouble breathing. Her mother called for an ambulance. The ambulance crew assessed Loretta, decided she was stable, and left. They were called back ten minutes later because Loretta had lost consciousness. The crew rushed Loretta to a hospital, but attempts to resuscitate her were in vain. Within an hour of having lost consciousness, she was dead. An autopsy showed that she had died from a pulmonary embolism from the abortion.